Why aren’t more moms becoming poker players? 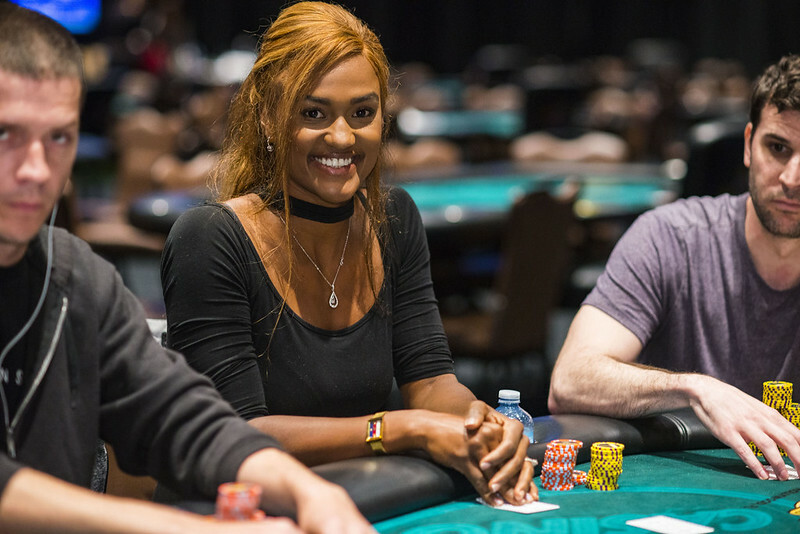 It’s a question that baffles Esther Foley (pictured), a Fort Lauderdale resident, and mother of two who was still in the field on Day 2 of the WPT Seminole Hard Rock Poker Showdown as players moved closer to the money. Women naturally have the stamina, Foley believes, to do well in the game. Poker runs in the family for Foley. Married to full-time poker player Nick Sinishtaj, her brother-in-law Tony Sinishtaj also plays full time and won the WPT Seminole Hard Rock Poker Showdown in Season XV for $661,283. Both help her with her game, and all three were in the field here for the Showdown. Foley was the last one in the family still in the field on Day 2 as players went to dinner break. With about $28,000 in live tournament winnings, Foley’s top cash came in 2017 when she took eighth in a $350 event in Pompano Beach for $10,203. She’s hoping to add to that here at the Seminole Hard Rock – her home casino. While she enjoys tournaments, cash games are a little easier as a mother. Foley pops in here or there for a quick getaway or to get her poker fix. She plays here every few weeks, and finds a trip to the poker tables more relaxing than hitting Starbucks or a visit to a spa. Like many players, televised poker attracted Foley to the game. She was thrilled to be seated in the Showdown seeing some of her poker idols. Foley makes it clear – she’s a huge poker fan and is well-versed on some of the top players in the game. Her biggest poker inspiration, however, isn’t in the field this weekend. Cunningham isn’t a bad poker role model. He has $11.8 million in live tournament winnings, including $1 million on the WPT with two final tables. Foley is certainly in her element at the Seminole Hard Rock. Just before the break, Foley doubled up after her pocket Queens held up against ace-eight. She now has 160,000 in chips and hopes to keep the dream alive.